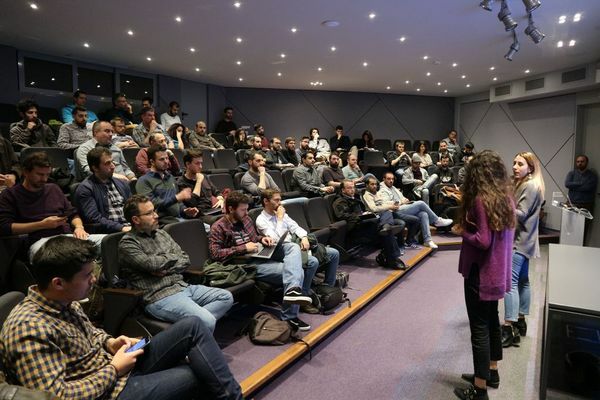 Welcome to Athens Big Data, a community organized forum to showcase the ongoing work, spread knowledge, and help the big data community level up. The group is open for anyone, without discrimination and regardless of expertise and background, from scientists to engineers. We are totally independent and not affiliated to any brand, vendor, or government organization. Moreover, our main focus is in promoting free and open source tools. Meetups are usually held once every two months in Athens, Greece. See you there! More information about us can be found in the following links. Don't forget to follow us on Twitter and join us on Slack! We are always looking for speakers, sponsors, and feedbacks. Please take the time to fill one (or more) of the following forms! For general inquires - that do not fit into any of the above forms - you can drop us a line at info@athensbigdata.com.